Donald Trump said he would "almost definitely" declare a national emergency if he did not get the results he wanted from his trip to the United States' southern border on day 20 of the partial government shutdown. He then cancelled his plans to attend the World Economic Forum in Switzerland, blaming "the Democrats' intransigence on border security and the great importance of safety for our nation" in a tweet. The trip to Davos was due to take place later this month, suggesting the President does not see an end to the shutdown impasse any time soon. Mr Trump flew to McAllen, Texas on the US-Mexico border on Thursday in an effort to gain support for his claim that only a reinforced wall can solve the immigration crisis there. 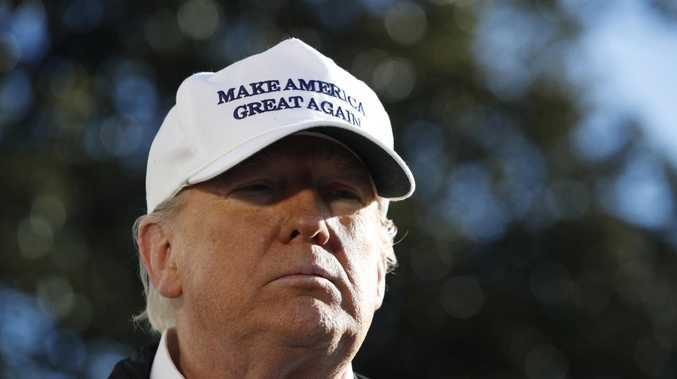 Asked as he left the White House whether he would declare a national emergency, he told reporters: "If this doesn't work out, probably I will do it, I would almost say definitely." McAllen is located in the Rio Grande Valley, the busiest part of the border for illegal border crossings, but crime there is near a 30-year low. The President is hoping he will be able to drum up support for his plans for a wall as he meets border patrol officials currently working without pay and receives a security briefing on the border. "We want a secure country," he said. "The only way you have a strong border is you have a wall or steel barrier." 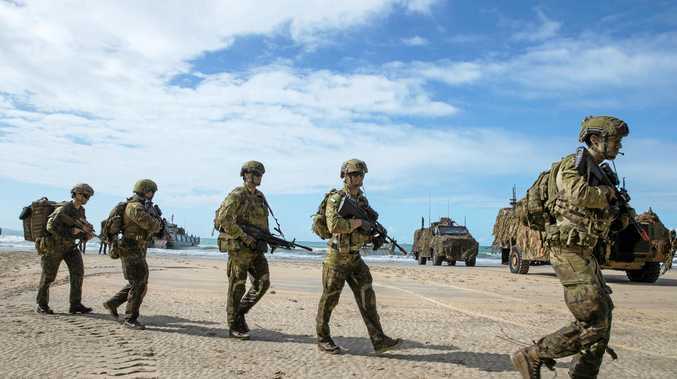 He reiterated that he had the "absolute right" to declare a state of emergency, which could see defence department resources used to the build the wall - although this is almost certain to face a major court challenge. "If we don't make a deal, I would say it would be very surprising to me that I would not declare a national emergency and just fund it through the various mechanisms," added the President. After his tour of the border, Mr Trump will appear on Fox host Sean Hannity's Thursday night show, which will be broadcast from McAllen. Pre-approved bollard wall construction in the area is set to begin in a month. Neither side of politics will budge from their positions as America struggles to function with nine of 15 government departments closed and 800,000 federal workers on leave without pay or working without pay. 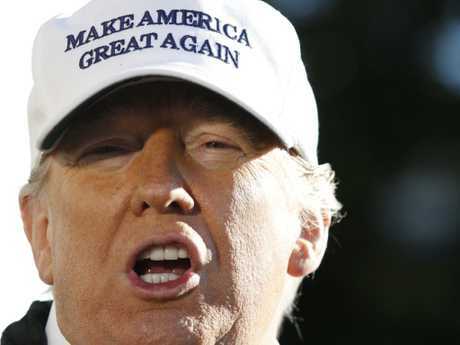 Mr Trump wants $US5.7 billion ($A8 billion) funding for the wall included in new funding bills for government departments, but Democrats are only willing to approve $US1.3 billion ($A1.8 billion) for border security. His televised national address on Tuesday and talks with Democrats that dramatically broke down on Wednesday have all so far failed to resolve the impasse. Mr Trump stormed out of his meeting with congressional leaders on Wednesday, calling his third set of talks with House speaker Nancy Pelosi and senate minority leader Chuck Schumer "a total waste of time." The White House meeting in the Situation Room ended after just 14 minutes. Democrats said they asked Mr Trump to re-open the government but that he told them if he did, they would not give him money for the wall. Republicans said Mr Trump asked Ms Pelosi if she would fund the wall if he reopened the government, and she said no. Senate Democratic leader Mr Schumer said the President slammed his hand on the table, but Mr Trump, who handed out candy at the start of the meeting, denied losing his temper. The Democrats see the idea of the long, impenetrable wall as ineffective and even immoral, but are willing to provide enough funds for a fence and increased surveillance. Mr Trump sees his wall - a key campaign promise - as an absolute necessity to stop what he calls a crisis of illegal immigration, drug-smuggling and human trafficking at the border. Mr Trump attempted to soothe jittery Republicans at a lunch earlier on Wednesday, discussing a possible compromise with Democrats to protect some immigrants from deportation, but provided no clear strategy for resolving the standoff, according to senators present. He left boasting of "a very, very unified party", but GOP senators have been openly uneasy as the standoff disrupts daily life in America. But senate majority leader Mitch McConnell on Thursday blocked two House-passed funding bills - one to fund the Department of Homeland Security to February 8 and another to reopen the remaining agencies up to September. He has vowed not to bring up a bill Mr Trump will not support. There was growing concern over the missed wages, disruptions in payments to farmers and manufacturers and trouble for home buyers seeking government-backed mortgage loans - "serious stuff," according to Senate Republican John Thune of South Dakota. Some Republicans were concerned about the administration's talk of possibly declaring a national emergency, seeing that as an unprecedented claim on the right of Congress to allocate funding except in the most dire circumstances. "I prefer that we get this resolved the old-fashioned way," Mr Thune said. Ms Pelosi warned that the effects of hundreds of thousands of lost pay cheques this Friday would begin to have an impact across the economy. "The President could end the Trump shutdown and re-open the government today, and he should," she said. On Tuesday night, speaking to the nation from the Oval Office for the first time, Mr Trump argued that the wall was needed to resolve a security and humanitarian "crisis." He asked: "How much more American blood must we shed before Congress does its job?" Democrats accused him of appealing to "fear, not facts" and manufacturing a border crisis for political gain. In an off-the-record lunch with television anchors ahead of his speech, Mr Trump suggested his aides had pushed him to give the address and travel to the border for a "photo op" and that he did not believe either would make a difference, according to two people familiar with the meeting. But one said it was unclear whether the President was serious or joking.